Top Tips for Dealing With Gum Disease - Gernot H. Winkler, D.D.S. When you are diagnosed with gum disease or gingivitis, it feels like the end of the world. In your mind, it is one of the worst oral conditions you can get. There is hope for you yet. There are several things you could start doing right now to help treat gum disease. 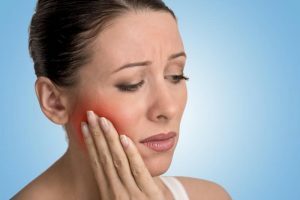 You may find some of the following remedies to help with sore gums and gum bleeding. If these are issues you have, then continue reading. Remember when you lost a tooth as a child and your parents gave you salt water to swish with? This option helps clean the gums and stop the bleeding. As it turns out, salt water can also assist with gum pain caused by gingivitis. There was a study done in 2016 that shows salt water can heal inflamed gums. Naturally, salt is a disinfectant and thus enables your body to heal on its own. Some of the other benefits of salt water include bacteria reduction, bad breath relief, and the removal of food particles. It is likely that your dentist will suggest deep cleaning once they determine that you have gum disease. Another term for this is scaling. It is when the dentist scrapes away tartar from above and below the gum line. The dentist may also perform root planing. This process smooths out the rough surfaces of your teeth. In-depth cleaning will help to remove the bacteria causing the inflammation, bleeding, and bad breath. When we grow older, it can be easy to slack off on our oral care routine. You may not brush as often and may even rule out flossing altogether. This reality is one of the reasons why gum disease persists. To ease the symptoms of your condition, you should make improvements to your routine. For instance, you should brush after each meal, floss your teeth, and use antiseptic mouthwash two times per day. Another option is to adopt natural remedies into your oral care plan, such as oil pulling. You can use different types of oil for this, but one of the best is coconut oil. Now, you have likely heard a lot about the health benefits of coconut oil. You can add improving oral hygiene to the list. According to one study done in 2015, coconut oil pulling will help whiten teeth, freshen your breath, clarify your sinuses, and reduce headaches and tension. Whatever methods you decide to use for treating your gum disease, make sure you do it as soon as possible. The longer you wait, the worse your gums will become. You can use the items on this list in conjunction to get the best results. For instance, you can upgrade your oral care routine with more frequent brushing and flossing, while incorporating coconut oil pulling. However, if you would like to learn more about gingivitis or would like to schedule an appointment with a dentist, then contact us today!